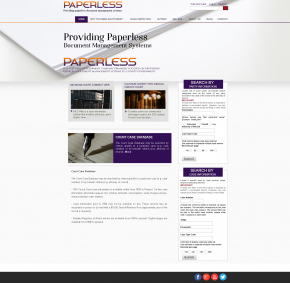 If you need to set up an amazing Document Management website, our template is the most definitive choice for you. We offer you an extremely responsive and visually engaging design. Your website will be available all over the world and on all known devices. Therefore, your visitors will enjoy a great site's performance on any modern device and in any browser! You will receive the highest website traffic possible because of the enormous search engine optimization that our template provides. The template uses a simple but effective color scheme. This template meets the modern requirements of site building. 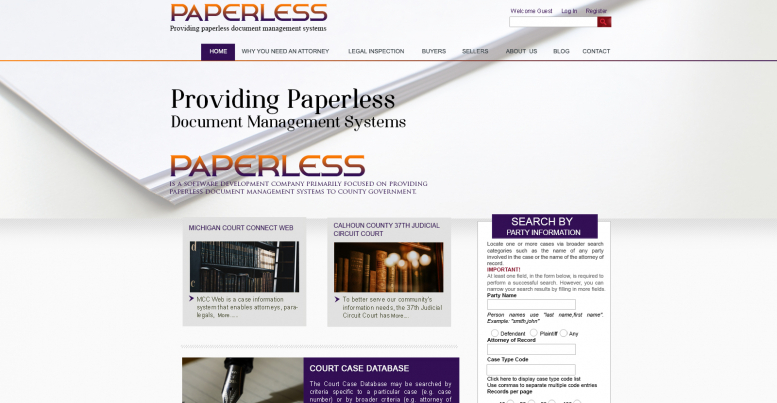 Paperless features a captivating banner along with an advanced search which can be used to find party and case information separately. The header of the website also features an all website search along with links to important pages like Buyers page, Sellers page, About us, Blog Contact Us etc. The footer of the website features the links to various social media website pages. $21.00 The simple license would allow you to use the template to create one website.